Welcome to my review for the Ozeri 10 inch pan I got to try for this review. 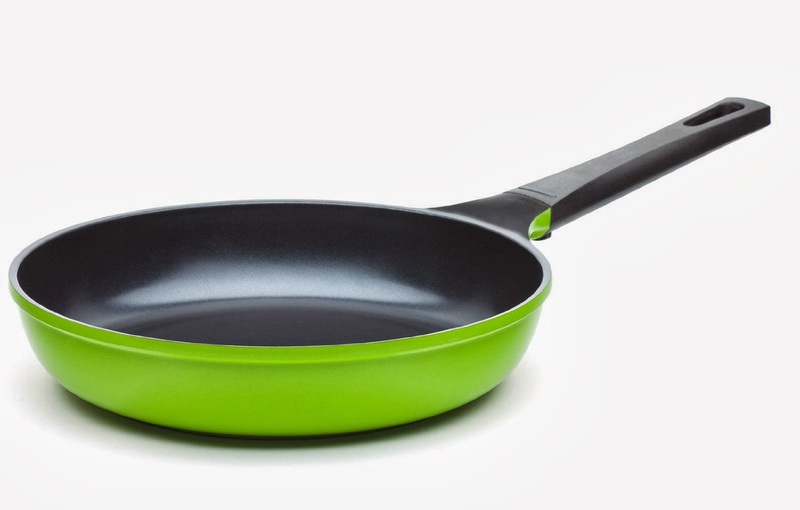 This is a really nice frying pan and its so much better for you to use because its has a 100% PFOA-Free Non-Stick Coating. This main photo is one I took when I got it in so you could see packaging I also did a video review so you could see what it looks like outside the box. I loved cooking with this pan it is easy to clean and nothing sticks to it. I also love the look of it, its got a really nice green color to to and the bottom of the pan makes it so heat is evenly distributed. As you can see its got a really nice handle on it that's longer and can be used in the oven. This pan is oven safe so its very versatile. I really like that this Ozeri pan is really made safely, its free of all the harmful things that are found in a lot of non stick pans today. This Ozeri pan is made with nature in mind by using,ultra-safe ceramic coating derived from nature. This is a totally non stick pan that makes cleaning very easy and quick. not only is it easy to clean but it also features a scratch-resistant 100 percent ceramic coating, making it a long lasting pan that's really safe to use with not harmful chemicals that can come out upon heating as some pans do. This Ozeri pan is very sturdy, yet not to heavy that its hard to handle. This is a real plus for me because I have some trouble working with heavy pans. I found I could work with this Ozeri pan very easily and with no pain in my wrist. I also really love the magnetized bottom. it is so much nice to work with a pan that has this feature because it really stays put and the heat than evenly covers the cooking area so you get less hot spots or burning. If you are looking for a fantastic frying pan that will make it really easy and safe to cook your favorite foods and thats really easy to clean I sure hope you give this really innovative Ozeri pan a try, you will be really glad you did because its an exceptional pan that not only cooks great but is also so nice to cook with. You can find this awesome Ozeri pan at amazon at this link. Here is the video so you can see the many features this awesome Ozeri pan has .